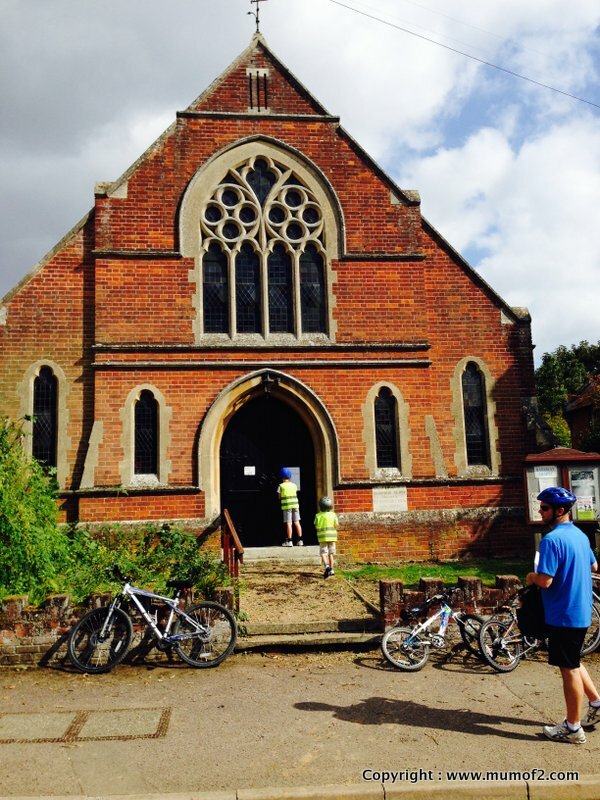 The Beds & Herts Historic Churches Trust has an annual charity event called the Bike n Hike which is to raise money to maintain the fabric of the buildings that have stood the test of time. The boys and I started this in 2010 when our youngest was just 3. Whilst his older brother and dad cycled between the churches close to our village, I popped the then 3 yr old in the car and he cycled up the church lanes when we got to each church. Well, 4 years on and we are still doing it! Except there is no car in sight. Thank goodness the weather was kind to us this year as last year the mud literally put the brakes on us every 2 mins. We timed our route this year and it took an hour less as there was no mud! 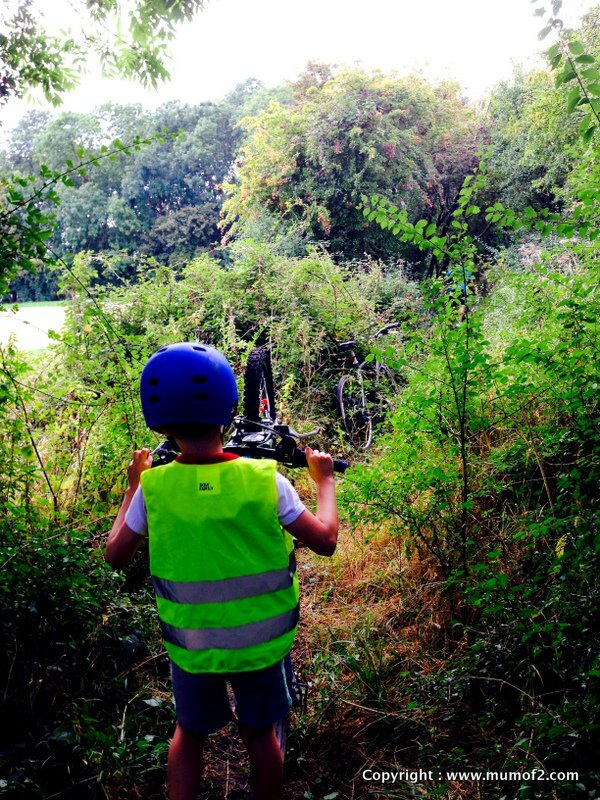 We cycled a total of 5.35 miles, with 90 % on paths like the one above and ended up hiking in bits as the brambles and paths were overgrown in places. But, we had a lovely time and stopped along the way to forage for blackberries. It’s a great day out and we met loads of bikers and hikers along the way who had done 1 church and some who had visited 29-30 which is amazing! We also seem to have an annual chat with the boys about why they are doing it for charity and what charity means. Top Trumps with a difference! Top Trumps is a usually a card game. If you haven’t played it before, it is a card game where each card has a set of information on it. Like speed, humour, courage, distance, age etc. The one player chooses a category, e.g. speed and the person with the highest speed wins all the cards in that round. They then choose the next category on the next round of cards and so the rounds continue, until one person ends up with either all the cards or if you choose to end the game early, the player with the most cards wins. The reason I chose to show humour and courage is that each set of Top Trumps differs depending on the pack. We had one with Planes (the movie) and Cars (the movie) which we had been playing and so you didn’t have to have the fastest car or plane to win a round. Now that I have explained how Top Trumps works in a nutshell…here’s were we played it with a difference. Top Trumps with REAL planes! Yep! I reckon it was quite a good move even if I say so myself! 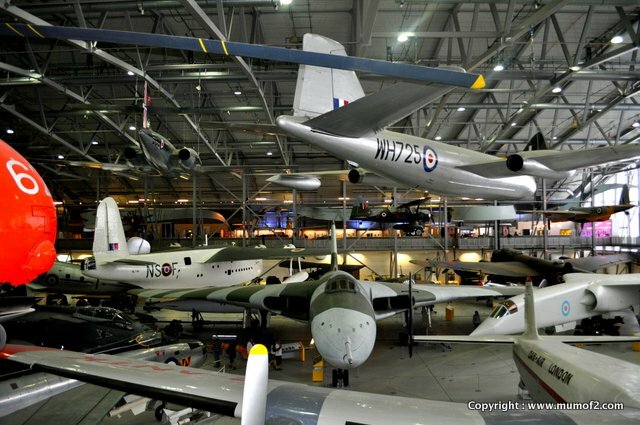 We often pop in to IWM Duxford as it’s not too far from us. The boys really haven’t understood the concept that it’s not a normal airport yet either and take it for granted that there are Hurricanes and Spitfires and all sorts that fly about there. They love going into the hangar that has a Concorde in it as it has loads of inside games and we rarely go into the smaller hangars but this time we did. Our 6 year old’s reading has come along so well that he can read most things and this is where the Top Trumps idea came into play. We each chose a plane and then looked at the information card displayed in front of the plane. The first person chose a category and the other 2 had to locate it on their real plane’s info card and so the REAL Top Trumps game began as we went around the hangar. Initially some people thought it was a bit weird that there was a shriek of delight out of nowhere, but a couple of them caught on that there was a game going on and slowly their smiles of intrigue showed. We probably should have asked if they wanted to play! It was a great way of the boys learning about the planes and keeping their attention long enough to hang about and have a nosey around the aircraft. So, the next time you are out and about and there is a lot of reading to do, I can recommend seeing if it’s possible to play Top Trumps for real! Cycling is something that just happens in our family. We’re lucky enough to live in a quiet village and have loads of fields surrounding us. We started both our boys off on the 3 wheeler scooters where you have to lean to turn. They were then upgraded to a balance bike at age 18 months or so and both of them just loved it. For their 3rd birthday, they were given a ‘proper’ bike and with only 30 mins of ‘active help’ they were off on their own. No side wheels, no stabilisers. Just a helmut and a high vis jacket. The bikes admittedly, have been used for more than one owner. We have high pressure washed and changed stickers, along with new lights etc. The one thing we have felt is that our youngest son deserved a brand new bike for his 6th birthday. Not a hand me down. There are some things that just need to be new sometimes. So, we took him down to our local bike shop and he chose his very own bigger bike…WITH gears! We also planned to collect it early, as we had my father-in-law over for a visit and wanted him to be part of the collection excitement too. 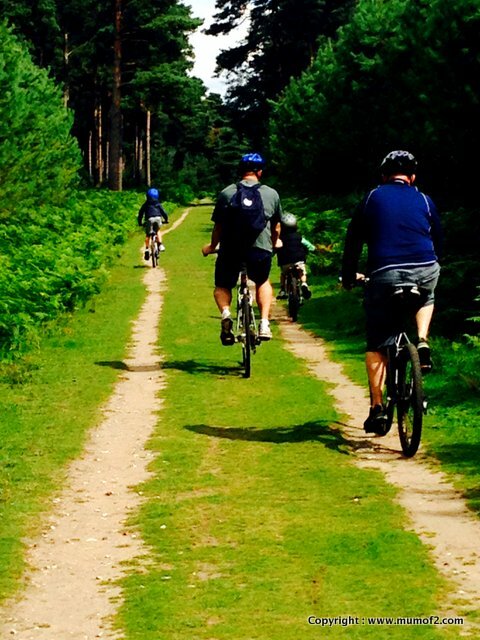 The very next day, we headed over to Thetford Forsest and had a super day climbing in the trees and then a lovely relaxed time cycling around the forest. Not only did he have to get use to 5 more gears than he had on his old bike, but brakes with his hands as his old bike had pedal brakes. He did really well and a 5 mile ride on a brand new bike that was slightly on the big side was a walk in the park. Nature at it’s best is very often all the time! Except when you are stuck in a hurricane, tornado etc etc. The watching of those is amazing but not being in the middle. Well, this week, we’ve had the pleasure of experiencing nature at it’s best! Tree art from bits and bobs including a frame! 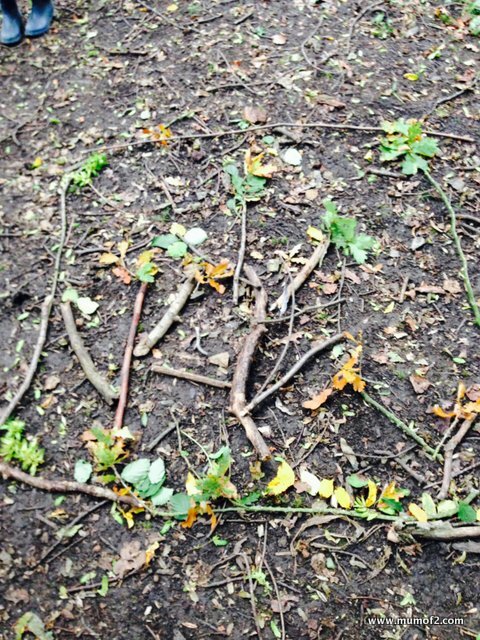 We pottered about Hatfield Forest today and foraged for some bits and bobs to make our natural art picture with frame. Our oldest son chose an Autumnal theme, probably because there were a few leaves on the ground and it was easier to go that route with sticks. 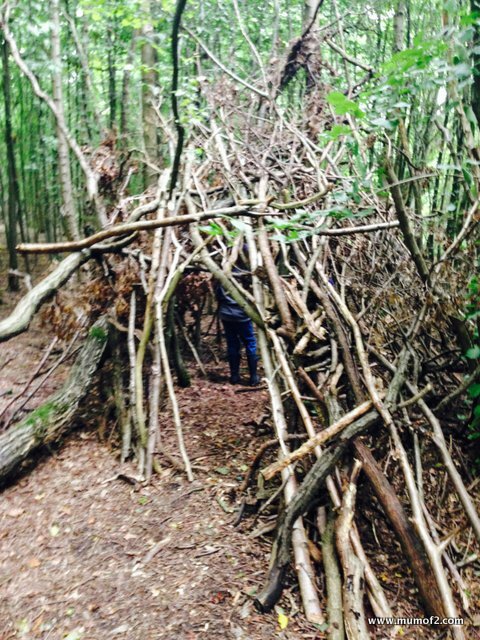 We went between the red and orange routes around the forest and came upon this super den! We had just been building our own but this one caught the boys attention. The boys had more fun climbing on this log pile house! I don’t think they even thought of looking for the Gruffalo or even a snake! But they had a whale of a time climbing all over it. 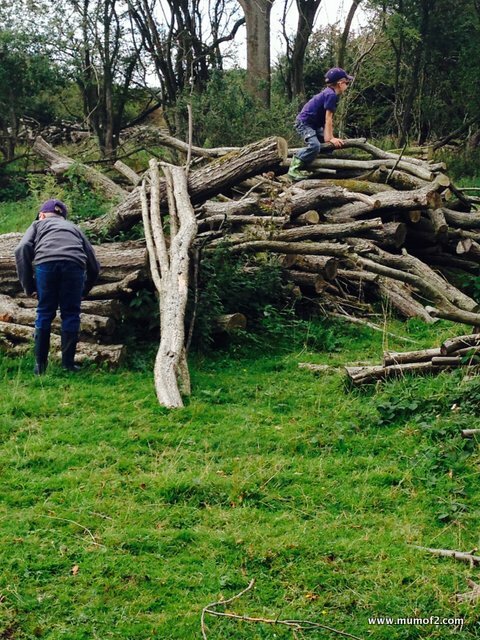 In fact they had given up on their own den building as this log castle was for the taking. More importantly, they’ve had good ol fashioned outdoor fun! The weather hasn’t been what it was, but that hasn’t stopped us. 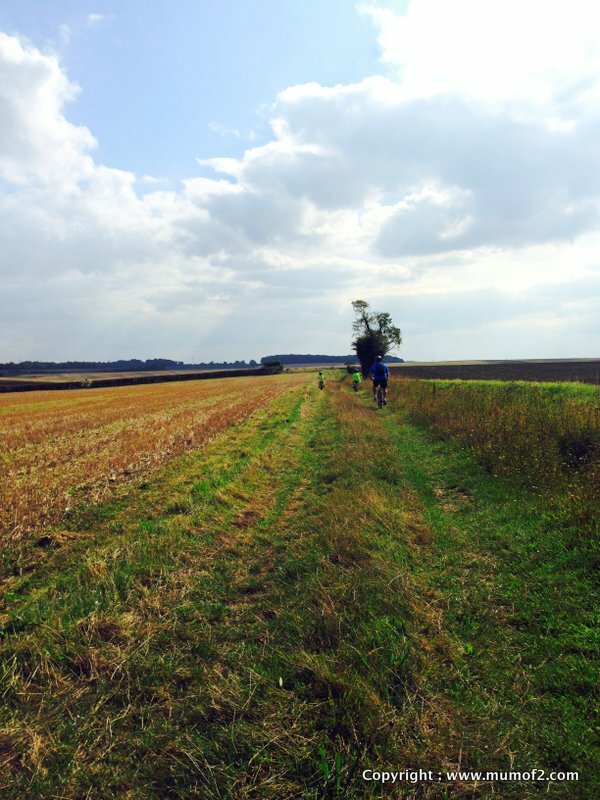 We even went for a cycle around Thetford Forest and it was just so beautiful! We had just picked up his birthday bike little early so that he could enjoy being out and about. 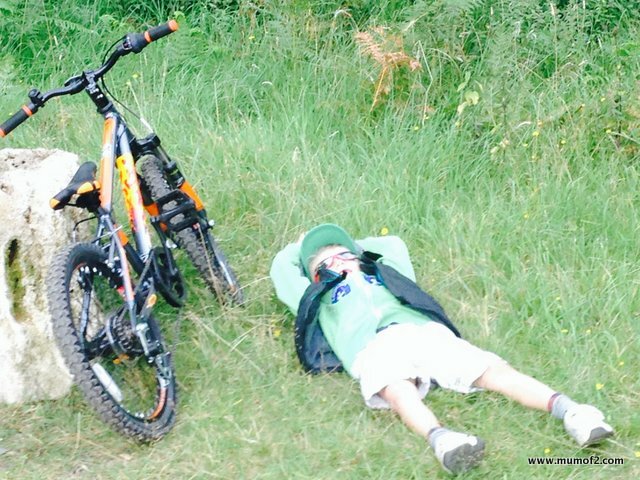 Whilst he didn’t have to work as hard as with his old bike, the amount of times we had to stop to sort his gears out and get starting again probably mentally finished him lol! What are you favourite bits of nature? Skateboarding – it looks so easy doesn’t it? Our eldest son decided a couple of years ago that he wanted to learn the art of skateboarding. He had seen the pro’s make it look so easy on the tv and he decided that it looked fun too. I mean how hard can it be to propel yourself at such speeds with what appears to be little or not effort? I was happy for him to get one on the basis that he can do it when his dad is about. We originally started off with pushing him along to get the feel of the balance and the steering. Whilst it’s like a scooter…it’s not. I could see myself being the engine and pushing him around the entire village, whilst looking after our other son whizzing about on his scooter and our 2 dogs. We also haven’t pushed him to do it (except when he is getting frustrated and we are on the opposite end of the village to our house and he either carries it home himself or valiantly continues skateboarding home!) The boys are given an option of scooters or bikes if we are heading out and then every now and then, our eldest son asks if he can take his skateboard out. We’re really lucky in that our little village doesn’t have any through traffic and is set in the shape of a square. So, most of the time you can take up the whole road in the knowledge that the majority of people coming through it are coming or going from home. We also generally tend to have the boys in high vis vests and believe me, these have come in handy on more than one occasion. Generally, folks tend to slow right down if they see them. Last weekend, with a break in the sudden onslaught of rain and wind, we took the opportunity to get some fresh air and he asked if he could go skateboarding. There are a couple of gentle slopes where you can use gravity to do most of the work. He is able to gently push himself along and it’s a slow process to build up speed from his own leg pushes, but he does really well on the hills. He’s learnt the art of jumping off and running to avoid a fall now and can turn left and right and go around the corners. It will be great when he has the power to full speed along and not have to concentrate too much on all the aspects of skateboarding and enjoy the view. What is lovely is that he is enjoying it at his own pace. Our boys seem to have fallen in love with their travel pillows and insist on sleeping with them. I found our youngest one fast asleep with his gazillion toys and his handle with care pillow and it made me stop and think. 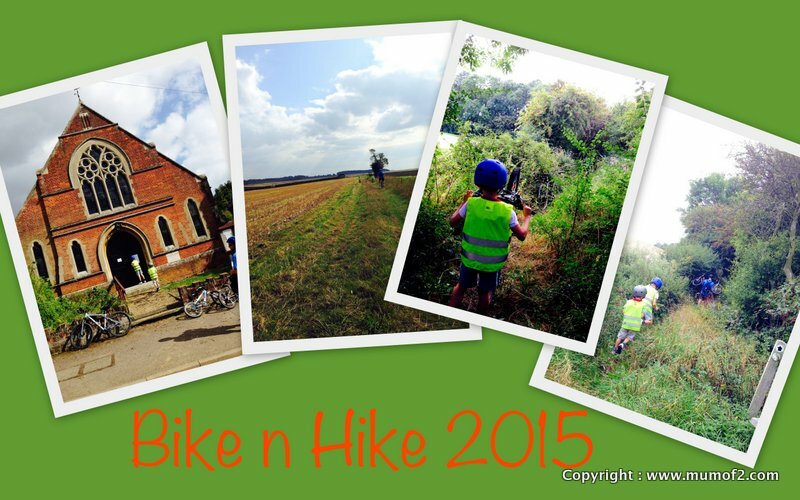 We’ve been really busy with loads of outdoor activities and adventures this summer. In fact, that is no change from any standard weekend and whilst I am thinking of it, a standard school week too! Our youngest son has insisted on staying on to watch the older children for their 3 hours and then afterwards we have had a run around our local heath and flown kites. He is really good at sending his own kite to the skies and then casually lying down on the ground to watch it whilst he is flying it. But, in all of the action, he has had a cough for a few weeks. Not one that keeps him awake at night but when he does cough it hasn’t sounded brilliant (what cough does!) So, I decided to get it checked out as he had had enough time to get rid of it. I also knew that the doc would listen and say it’s all clear when I know that it really isn’t. We went to tennis and straight from there to the Docs and sure enough, we were told his chest was clear (surprise surprise as it wasn’t our usual Dr who knows our boys so well) but I had also mentioned that I was concerned about his ears. Sure enough, the doc checked one out and it was fine but the other ear was red. Very red. I asked our youngest if his ear was sore at all and he said ‘No’. So we thanked the Doc and went to get the antibiotics. This is the part where the ‘handle with care’ made me think. Ear infections are pretty sore and so we have been playing tennis, cycling, bouncing, discovering and he hasn’t complained once of his cough nor his ear. He has a super high pain threshold and of course doesn’t want to miss out on anything, yet he clearly must have been feeling under the weather. This week, we seem to have a bit of a turning to the skies theme. If you know our household, it’s a busy one! 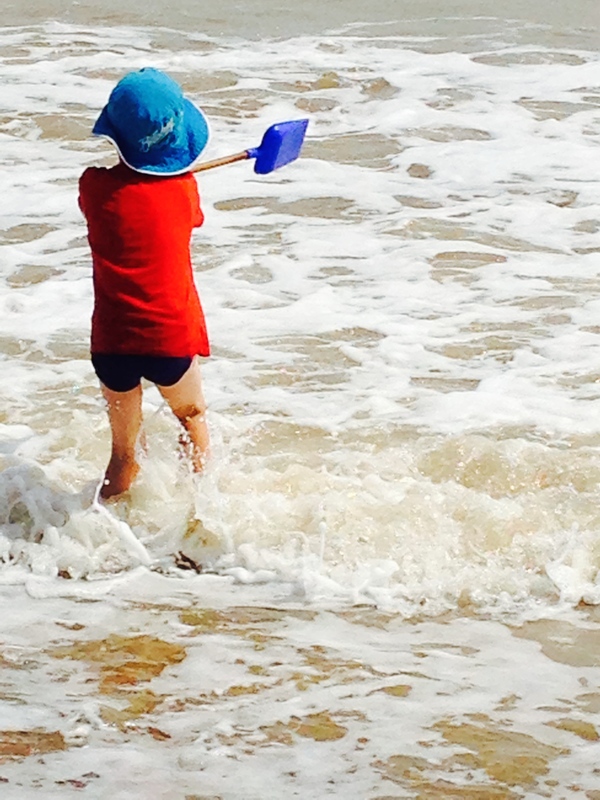 This holiday we hadn’t planned anything specific as the run up to the end of the school year was a bit manic. It all started with a last minute trip to IWM Duxford as the weather was superb. Interestingly enough, we went on the Centenary Day for the start of WW1 and there was loads to do. The part I love is that the boys were colouring a picture in front of a Eurofighter Typhoon jet (as you do!) and then we had ice-creams in front of the Lancaster Bomber (again…as you do!) I am hoping in years to come that they will realise how special that is and treasure those memories. We had also been to the local Kite Festival where we watched the displays to music and the boys flew their own kites too. It’s a great day out and thankfully the wind and weather were kind to everyone. They also met up with the local fire brigade and got to sit in the fire engine. 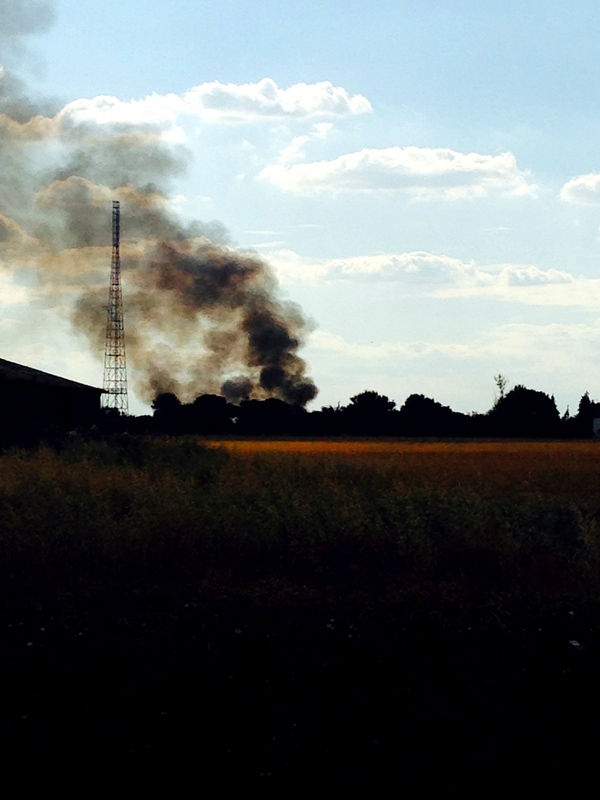 This was great as the boys were worried earlier in the week when we spotted a large fire across the field from us. We had seen (and heard) the fire engine en route and were glad to see the smoke change from black to grey. Thankfully, no one was hurt and it was some farm outbuildings. The fire fighters let the boys put on their helmets and chatted with them when the boyshad asked questions about it and the boys told them that they were glad to see them as they were worried when they saw the smoke across the field. So, it’s been a week of turning to the skies as they have certainly brought much excitement. If you have been keeping an eye on my blog, one of my main mottos is Simple Fun! I love it when our boys find enjoyment or learn something when it doesn’t cost the earth, doesn’t require complicated gadgets and well, they have good ol’ simple fun! IT’S ALWAYS THE SIMPLE THINGS THAT MAKE LIFE SO MUCH FUN! So, today is no exception. Our local Rotary Club puts on a kite festival every year and we are heading that way today. The boys just love it and what is so great is that the kids (or adults) can take their own kites along and fly them in the field next door, or they have various sections where spectators can take part. Funny enough, they have a ‘kite war’ event where the object is that 2 kites go up against each other and whoever cuts the other person’s line, wins the war. It inspired the boys (and us) as something different to do when we fly our own kites at home. Now, I think the entertainment value in this is to watch either the supportive husband or I, do the 100m dash across a field of nettles to retrieve the free kite lol! This year, they are raising money for http://www.alzheimersresearchuk.org which is a charity close to many people’s hearts. So whilst we are having simple fun enjoying the kite displays, it is raising money for a super cause! So, best I hurry up before the boys leave without me! Sunny days and school holidays! Finally! Finally! If anyone has been following on my Facebook page (cough **click and like if you aren’t**) or Twitter feed…I have been counting down to the day school broke up for school holidays so that we can enjoy the sunny days that summer has to offer. Pyjama / duvet days as a result of a decision in #2! So, with this in mind, we have hit the holidays with a bang and then next week, we’re planning on just relaxing and letting our bodies and minds play catch up. The weather has been absolutely magical with extra sunny days to boot. So we headed off to the Suffolk coast and enjoyed all that Southwold beach and harbour had to offer for a day trip (about a 2 hour drive for us). 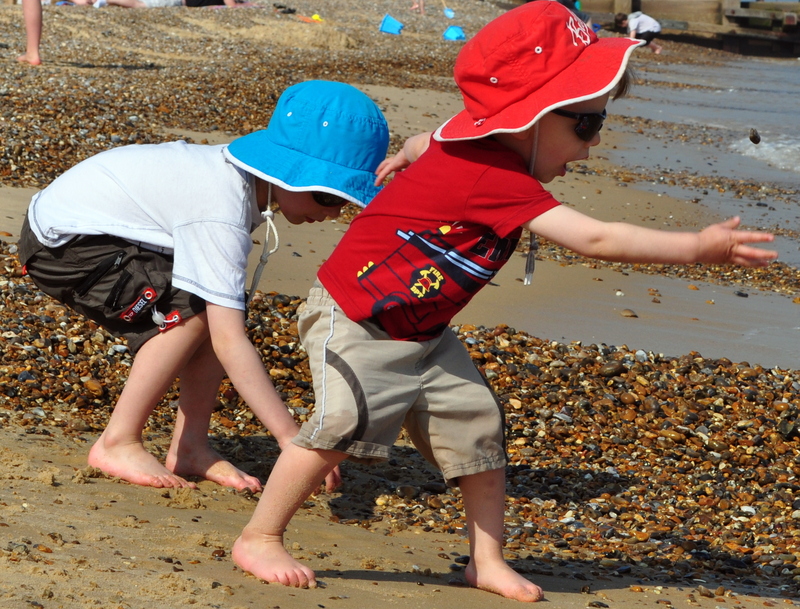 The boys had a whale of a time building sandcastles, throwing pebbles back in to the sea and most of all jumping in the waves and swimming in the sea whilst enjoying the sunshine. We then sauntered on along the harbour and scared the seagulls (sorry gulls! ), played in the mud and devoured an ice-cream or 2 before heading back to the beach and cooling down with another bout of wave jumping. It was sadly, time to leave and the boys and I headed back home. I am pretty sure we’ll be back for our next seaside fix if we have more sunny days.